The world of security is undergoing a quiet revolution. Locks, keys, alarms and low-resolution video have given way to digital technology. The traditional role of a video camera system is to record the same scene, hour after hour, in case something interesting happens. Analogue cameras typically send footage to a central computer, which processes and records the images. The more cameras you have, the more processing power you need. Once stored, the most you’ll ever get from your security camera is a grainy, low resolution video recording. 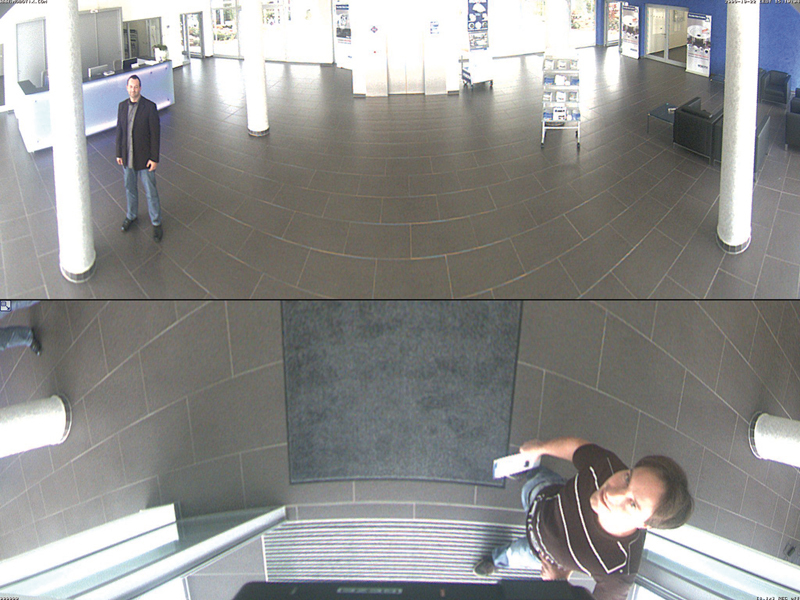 With high resolution digital cameras from market leader Mobotix, everything has changed. Each Mobotix digital camera processes its footage in camera, so there’s no need for a hefty central PC. In fact, data can be sent straight to a network storage device (NAS). Each camera can also store images on an SD card, so your cameras still work if the central storage goes offline. But that’s just the beginning. Mobotix cameras can be configured with multiple lenses, for wide and tight shots, or day and night shots, all within the one camera unit. Far beyond being a grainy video clip used just for security, the data from a Mobotix camera can be analysed and used to a variety of purposes. It used to be that you’d get a new key cut for each new staff member as they joined the business. If their role changed, they might need a second key or a different key. If they left, you’d need to make sure you got their key back. Access control systems change all of that. A an access key (or tag or card) is issued to a new staff member, and their access level is assigned to the key electronically. As their role in the business changes, so does their access level – without a new key ever being cut. If a staff member leaves, they can keep their key, as their access is revoked as they leave on their last day. And access can also be governed by time of day. Staff access to rooms and buildings can be disabled outside normal business hours, and extra access can be granted on a strict schedule. Access control also tracks movement throughout your facilities. It’s not enough to know that four of your staff have access to the records room – know which of your staff accessed the room and at what time, based on the ID of their access control key. It can be difficult to keep track of where all your company’s files are stored. Even if you have a secure fileserver, staff may save documents to he local hard drive of their desktop or notebook computer, either by choice or by accident. At that point the files are no longer secure, no longer shared with other staff who need them, and no longer part of the backup. We can make sure that your fileserver is configured correctly, with each user or team having access to the files they require. We can also configure your workstations to funnel all files back to the server to limit the scattering of files across your network. Even if you haven’t considered cloud storage or services for your business, there’s a good chance that one or more of your staff are already using a cloud service such as DropBox or Google Drive. If a staff member is using a service that you can’t manage or control, then your data is no longer safe. We can help you determine whether your business needs a cloud storage platform, help you to choose one, and help you manage manage it so your data remains under your control. Your remote and mobile users may access your network, file server or cloud storage from a portable device, at which point the security of your data is only as strong as the security of that device. It’s critical that any mobile device and the access it has is managed and secured, and that a lost device can be disabled remotely. At every point where your business connects with the world – social media, an online store, web site, internet access – is a place where your data is potentially vulnerable. We can help you keep your data secure. Access to your files and data happen primarily through your office’s local area network, so it’s critical to know who has access to the network, how the have access, and from where. A wireless network with a shared password or a simple screen sharing application on a user workstation is enough to compromise a network. We can help you secure your wired, wireless and remote access networks so that you’re in control of who can connect. We can limit the installation of apps that can give an external party access to your systems.